Looking for a home with sea views? Look no further! At VAPF we can offer you the ideal location with a multitude of services at your fingertips: international schooling, restaurants, tennis courts, a supermarket, a hairdressers, a pharmacy and, of course, amazing beaches. 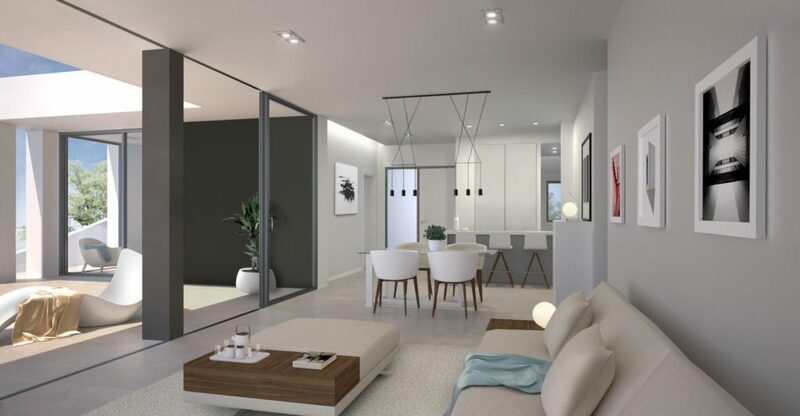 Discover our developments of luxury villas and apartments located in Cumbre del Sol Residential Resort, in the heart of the Costa Blanca, next to the region’s most important cities and less than one hour from the Alicante and Valencia airports. It is in this unique environment that we have developed our exclusive Magnolias Sunset residential area of 5 stylish villas, all with a garden and private swimming pool. 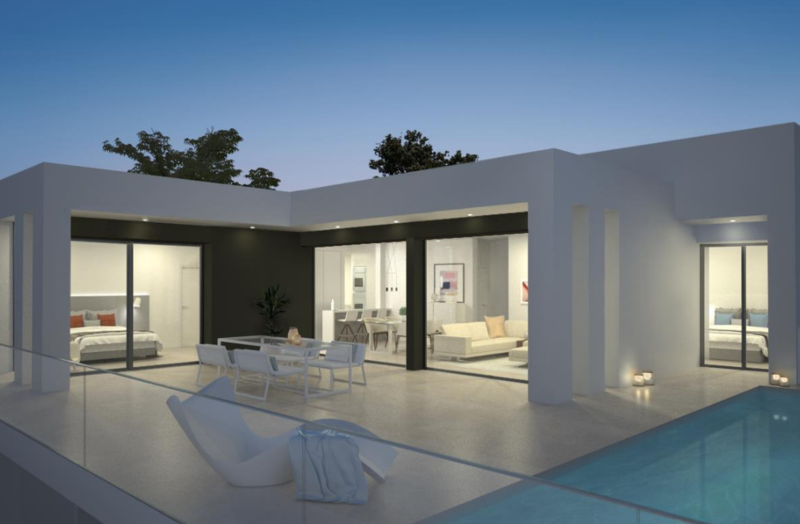 All our villas have a modern design, with clean lines and the prevalence of the colour white creating an elegant style that flows from room to room. The layout of the indoor and outdoor spaces is designed to make the most of the Mediterranean weather, providing the home with warmth and light. The 238m2 villas have 3 double bedrooms, 2 bathrooms, a modern kitchen, and a living room with direct access to the terrace and garden. Would you like your guests to stay in a separate living area, or do you dream of having your own private gym at home? Our villas allow you to do all that, thanks to the open space on the ground floor that can be customised according to your needs. Our villas have been designed so you can enjoy the location at all times. That’s why you have a wonderful Mediterranean garden and a private terrace with infinity pool – the perfect place to spend some relaxing alone time or share unforgettable moments with your family and friends. If you’ve always dreamed of waking up to a sea view, fall in love with our Magnolias Sunset villas in Cumbre del Sol Residential Resort. If you need more information, you can contact us by filling in our contact form, and we will be happy to help you! If you want to stay up to date with all the news about Cumbre del Sol, you can visit our blog or follow us on our social media channels.